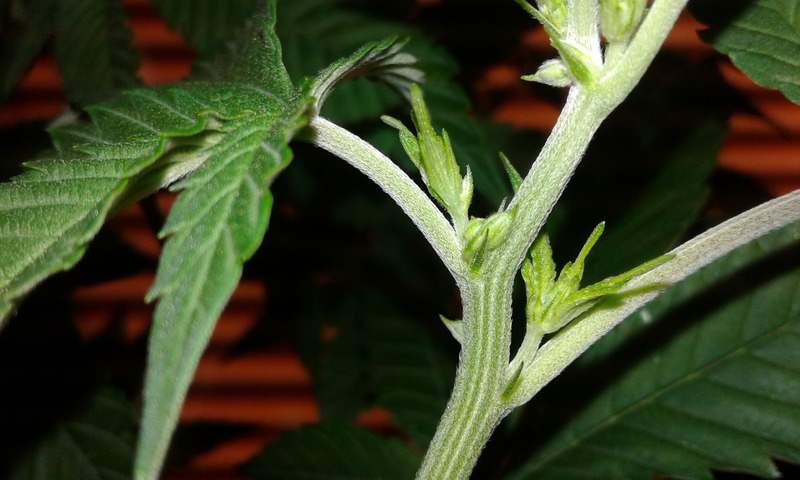 I though it was male because of what I believe to be a pre-flower, but is now forming pistils. 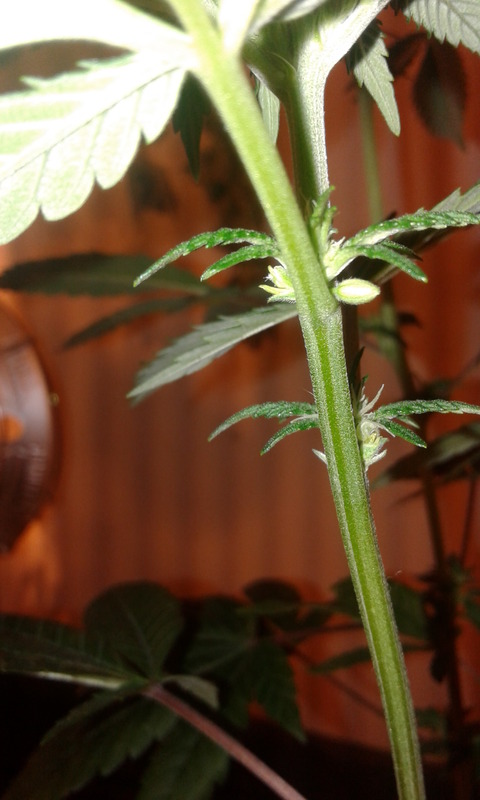 Wow I would have pegged it for a male on the first photo but there are the pistils on the second photo. 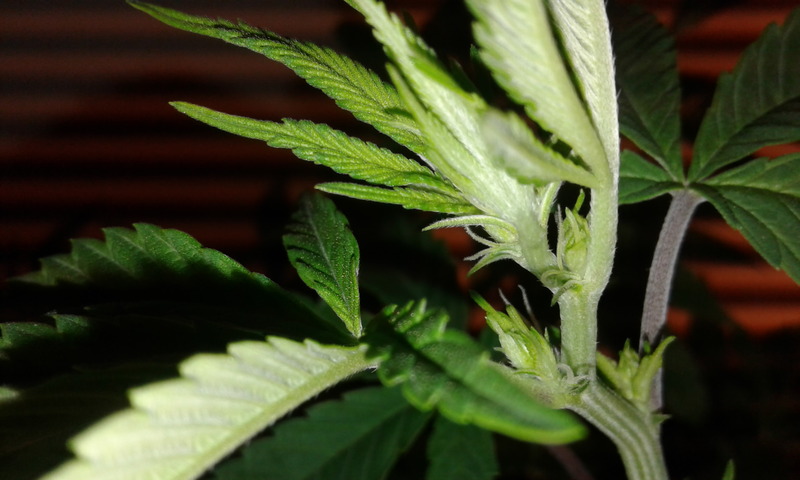 Did it herm or are pistil coming from everywhere? 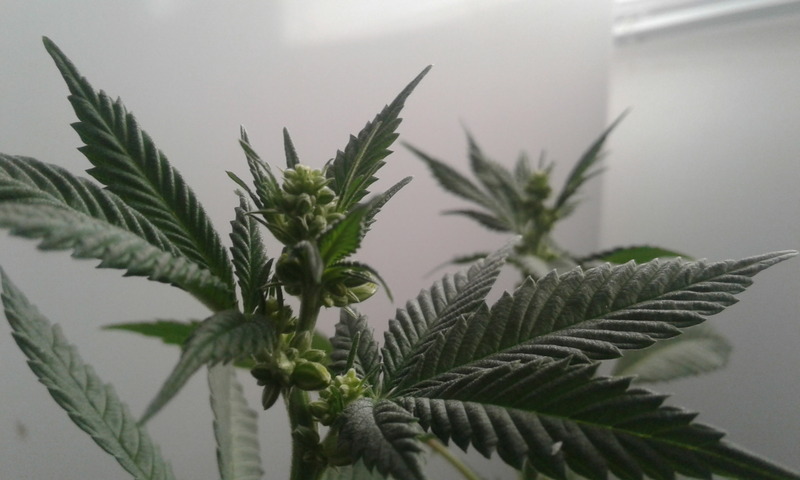 Did it herm or are pistil coming from everywhere? 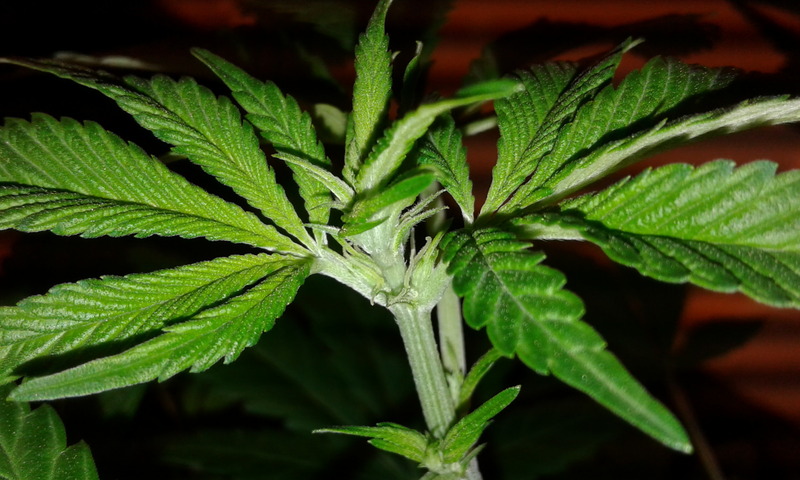 Pistils now forming at all bud sites. 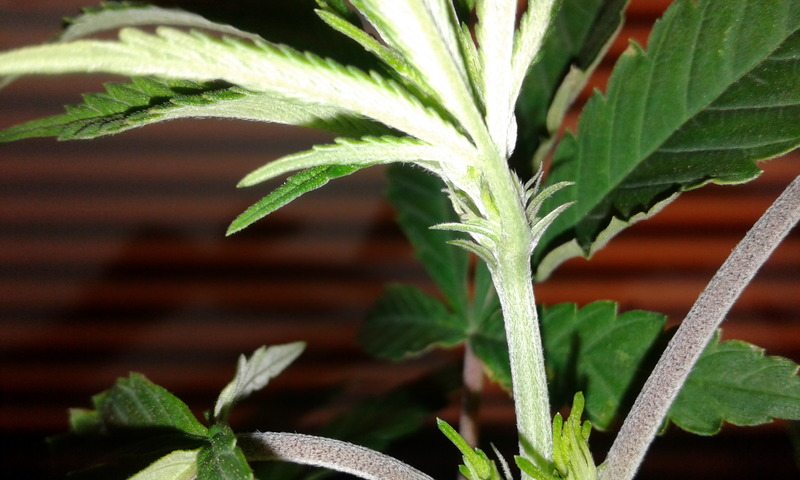 Same as @Roux ️ says -it's looking kinda male in 1st pic but can see small pistil in second pic.. so is that 3 fck females and one Lemon Tree , is that correct.? Nothing much happening with mine, too small atm .. 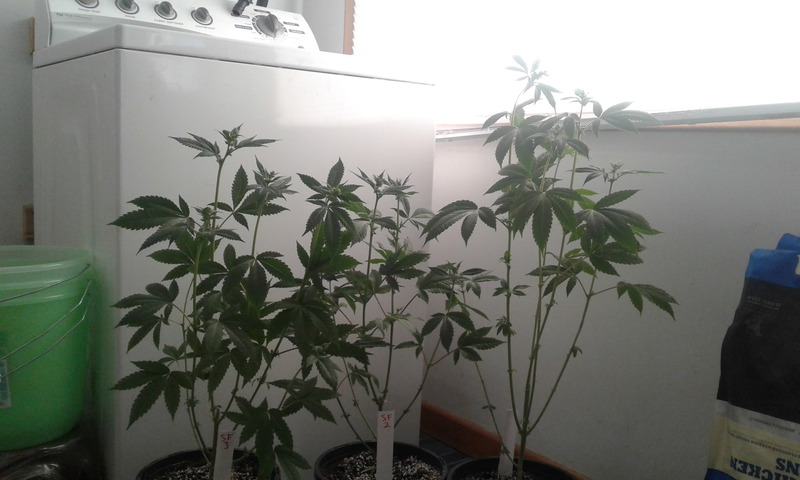 I will update soon as they're bit bigger..
so is that 3 fck females and one Lemon Tree , is that correct.? Well some of the genders are still up in the air. I have 2 definite female FCK, and 1 LemonX18. 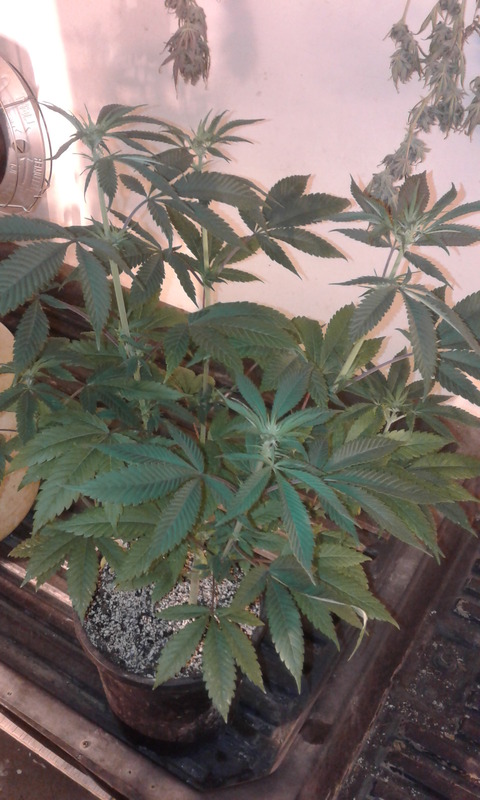 My lil gal has a few more days until starting 12/12. Transplanted to a larger pot a few days ago and set some stake holders(old tent poles) while at it. Looking excellent @Kalgrae that's a shiny plant you have there.lol. what size is it.. so your gonna flip some time soon.. great stuff.! Anything I can help you with just pm me bro. 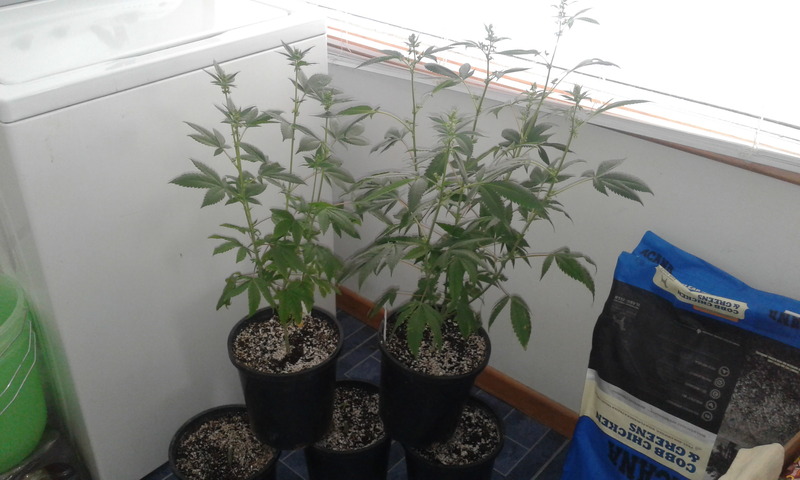 @MBSeeds do you have some of these going as well? Any progress shots if so? Starting to feel like you're holding out. 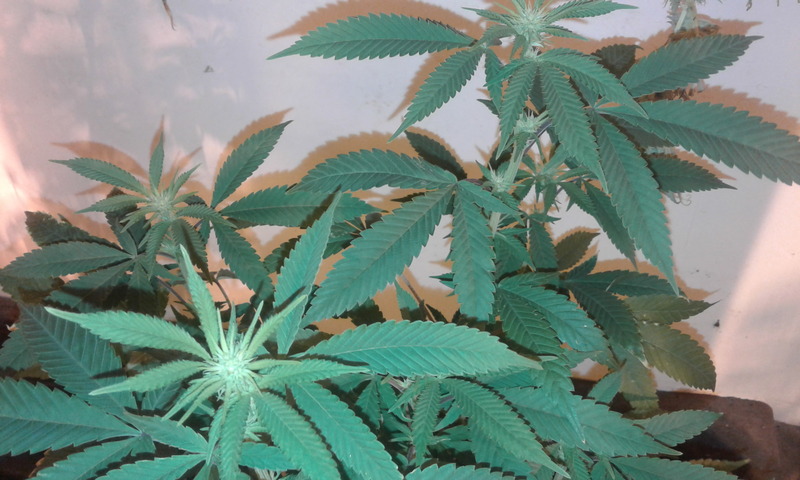 I've got a feeling @pookie123 is slammed with a big handful of landrace strains moving along? @buryseeds gave me some other crosses to test, but unfortunately now is not a great time. When the time is right though, they are going to get their chance as well as a bunch of others from OG folks have shared with me and some I've bought. killin it with the male population. Bummer, but are you diggin the LT? Yes they are quite vigorous and have a short stretch when induced to flower. 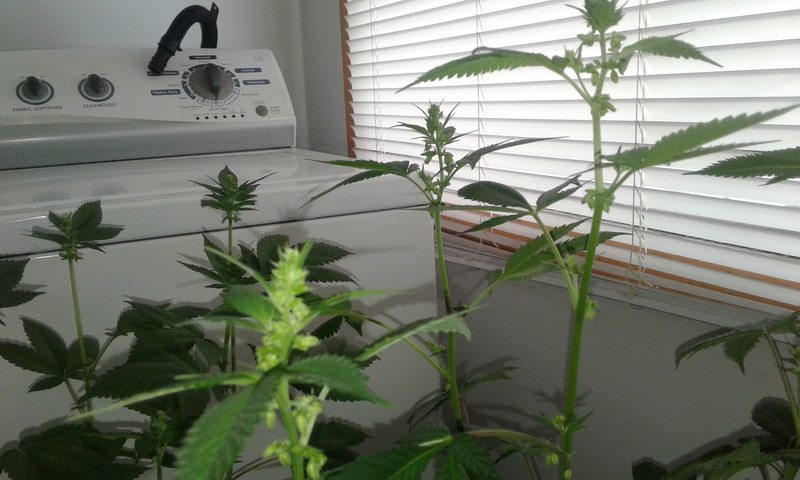 3 Fields Corner Kush males. 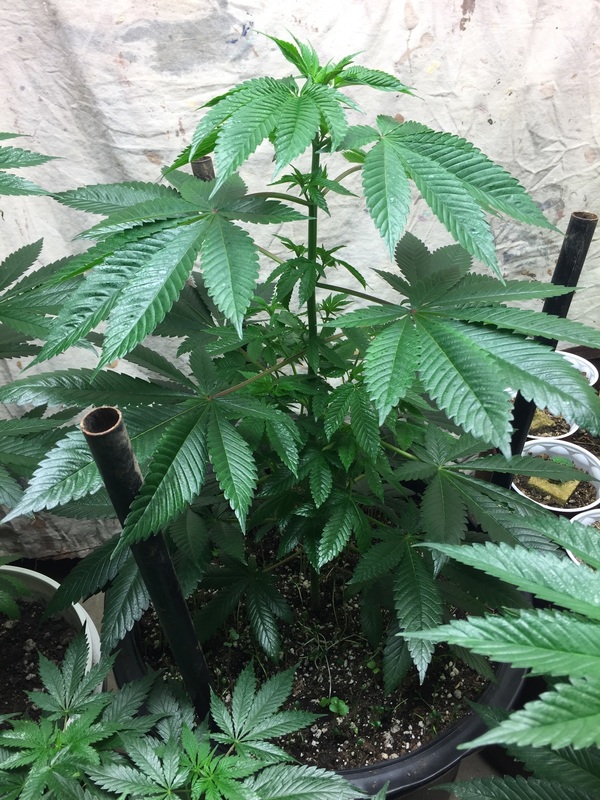 Hey @Scissor-Hanz are you gonna keep some of these's pollen for a nice cross with the Jesus og or blueberry- "messiahBerry OG" or "jesusCorner OG Kush" etc.. Seems to be lotsa males in these crosses, hopefully i have a few females when mine grow up , lol.. 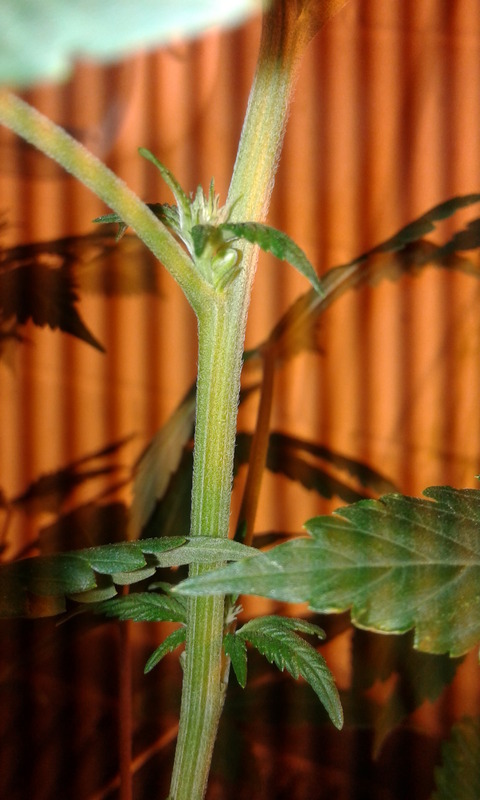 Anyway fingers crossed for the rest to be female for you.. good luck and happy growing bud. I think it's sort of an unspoken rule, not to breed with someone's testers. 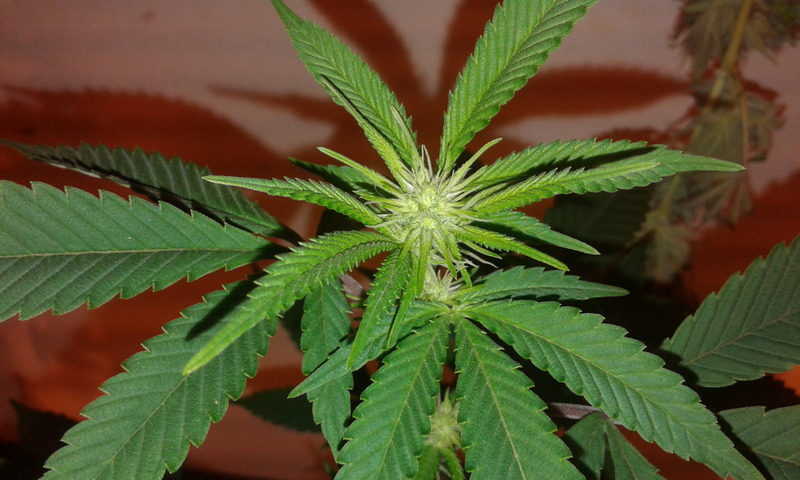 Fields corner Kush, 2 females at day 17 of flower. 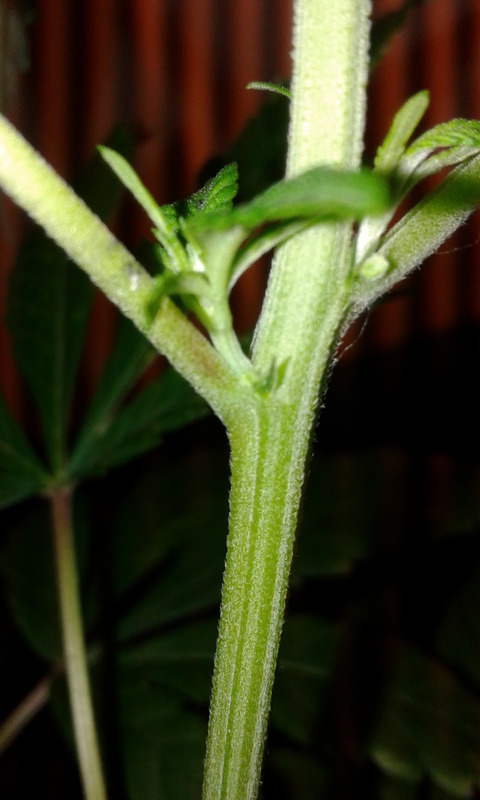 ....and here are 2 Lemon X-18 that made pre-flowers but are now producing pistils. 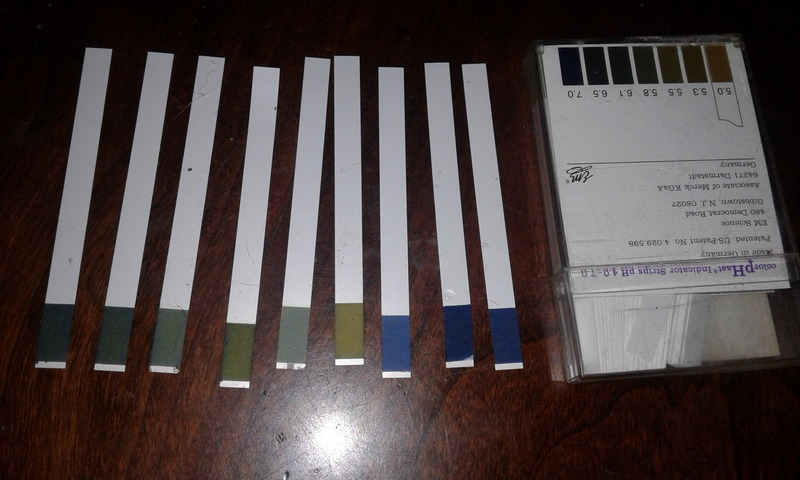 I'm not sure how I stressed them, one possibility is a slight pH fluctuation. Thanks, Gaz. 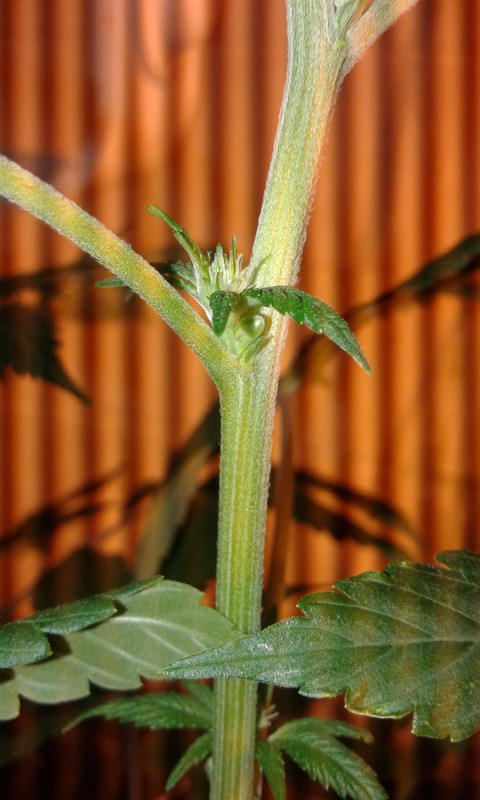 Both LemonX-18 females have multiple single flowers at the base of the nodes, as seen in the pic. My room is automated with optimal conditions, so I'm trying to narrow down how I stressed them. Maybe an EC or pH issue or flowering too early. I'm getting a new pH test kit to verify my combo meter. Then I will test the runoff solution tonight. The other 2 Lemon X-18 are unfortunately 100% males. I'm getting a new pH test kit to verify my combo meter. Then I will test the runoff solution tonight. Yup, my input water went from a steady 6.4 to 7+! (springtime runoff maybe?) So any flushing I gave them was probably shocking. 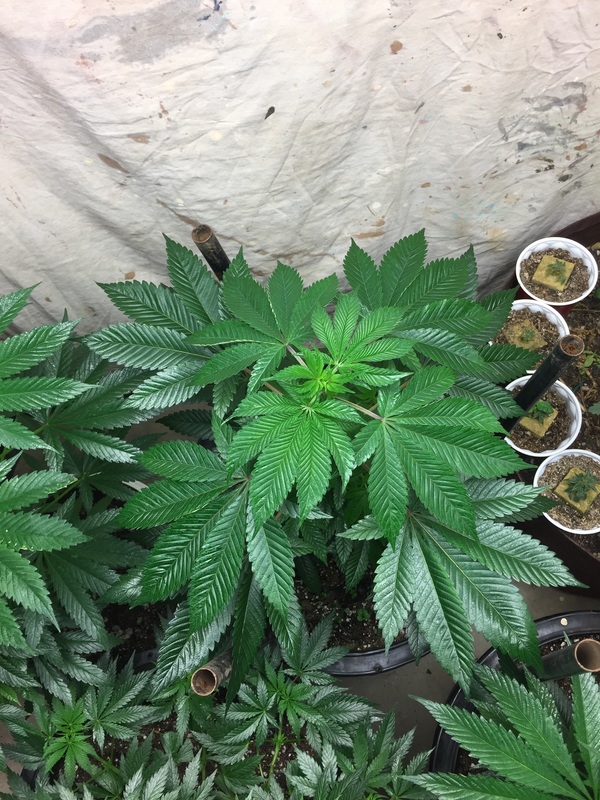 I first suspected a problem when I noticed some nutrient lockout in my veg room. My pH pen was reading 6.0 for 7.0 water. I've never seen one of these go so BLUE before!